Winter arrived very early this year in The Netherlands. It is cold and our village is covered in a layer of snow. But inside it is warm and cosy. 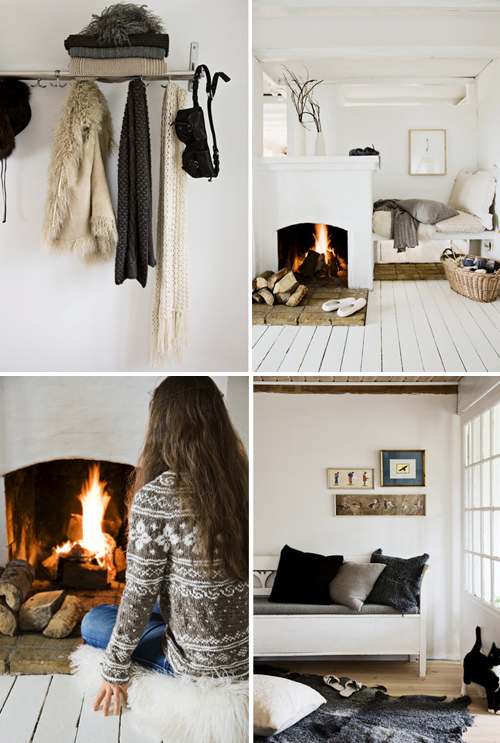 It is the time of year to burn candles, lit the fire place and to drink hot chocolate milk. 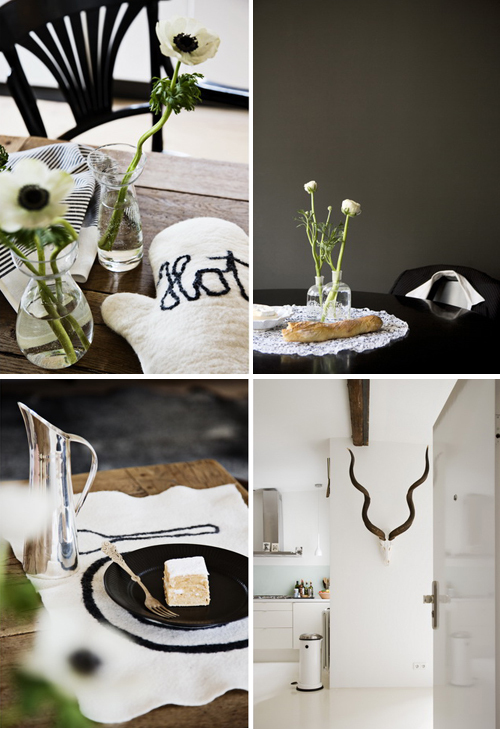 Today some images of inspiring of interiors that are ready for winter time. So love those beautiful horns. i wish i could trade places with you! a warm christmas isn’t very festive! I love all the white in those interiors! Beautiful! Now these are neutrals are can live with! Love the delicacy and moodiness of the tones. And so warm too! Happy Holidays! Love everything about this post! Thanks for all the gorgeous images and thoughts about winter and Christmas!